Three talking—and singing—chipmunks, Alvin (voice of Justin Long), Simon (voice of Matthew Gray Gubler) and Theodore (voice of Jesse McArtney), try to befriend an out-of-work musician David (Jason Lee) who’s reluctant to treat them as family. He needs them the most, though, when his former recording studio boss (David Cross) steals them away to turn them into rock stars. If you grew up loving the “Alvin and the Chipmunks” cartoon on TV, you’ll be smiling at the delightful nostalgia of watching and hearing those adorable little chipmunks, especially when the trio sings “The Chipmunk Song.” With the exception of brief toilet humor, much of the humor is pretty clean and even witty—like when the chipmunks incorrectly think David has died , one of them suggests they go find some large bags and oregano or when they end up in his garbage bin, they mistake it for house. 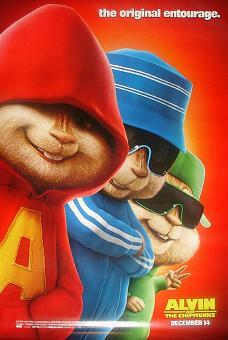 It’s also interesting to watch how the chipmunks get their famous t-shirts and how Alvin ended up with his glasses. Director Tim Hill wisely moves the pace along quickly and includes enough of CGI scenes with the chipmunks to entertain audiences both young and old. With its upbeat tone and positive messages about family and friendship, Alvin and the Chipmunks is the perfect antidote to all those depressing Oscar-bait movies. Number of times I checked my watch: 7. Entertainment Value: High. Spiritual Value: High, as long as you suspend your disbelief. Released by 20th Century Fox. Directed by Diane Crespo & Stefan Shaefer. Rochel (Zoe Lister Jones), an Orthodox Jew, develops a friendship with a Muslim woman, Nasira (Frances Benhamou), while they both go through the process of arranged marriages. At an elementary public school in Brooklyn where they teach, the principal (Marcia Jean Kurtz) sticks her nose where it doesn’t belongs: in their private and religious lifestyle—she even tries, unsuccessfully, to control what they wear so that they don’t wear religious clothing to work. Zoe Lister Jones and Frances Benhamou both give convincing performances that keep you engrossed in the story. The well-written screenplay by Stefan Shaefer breathes life into each characters so that neither is one-note—nobody comes across as truly bad or over-the-top. It also has some well-needed comic relief when Rochel meets a variety of husband candidates, yet none of them get along with her. Both Rochel and Nasira’s parents just want their children to be happy while following their religious customs, but neither Rochel nor Nasira find it easy to meet the ideal man who they truly feel a connection with. It’s very rare to find such a simple story with serious issues as friendship, true love, intolerance and prejudice, yet with an uplifting and hopeful message about how two people from seemingly different backgrounds can have so much in common by just getting to know one another. If everyone in the world were apply this to their own lives, perhaps there would be at least the chance for world peace. Number of times I checked my watch: 0. Entertainment Value: High. Spiritual Value: Very High. Released by Film Movement. Opens at the Quad Cinema. In Kurdish and Persian with subtitles. Mamo (Ismail Ghaffari) and his musicians get into trouble when he hides a female singer on the bus when he travels across the Iranian border to perform a concert in Kurdistan. Although it takes a while to get going with its slow pace, this road trip movie has some surprises in stock. Writer/director Bahman Ghobadi expertly blends off-beat comedy, drama and tragedy without going over-the-top. None of the actors are professional, yet they still bring plenty of liveliness and conviction to their roles, especially Allah-Morad Rashtian, who stands out just like he did in another one of Ghobadi’s film, Marooned in Iraq. Pay attention closely to the dialogue or else you’ll miss what the title refers to. Number of times I checked my watch: 1. Entertainment Value: High. Spiritual Value: Moderate. Released by Strand Releasing. Opens at the ImaginAsian. Robert (Will Smith) struggles to survive when a deadly virus wipes out the everyone in New York City and, perhaps, the rest of the world. Joined with his dog, Robert tries to defend himself from blood-thirsty mutated humans who contracted the virus. Much of the plot feels like Cast Away meets 28 Days Later, but without enough imaginative twists—it eventually turns into an action-packed video game of Robert vs. the mutants. Fortunately, Will Smith has the charisma to keep you somewhat engaged throughout the tedious scenes. Director Francis Lawrence includes lots of impressive CGI effects that look amazing on the big screen, especially if you watch it in IMAX. However, the dull script by Mark Protosevich and Akiva Goldsman has too many plot holes as it progress—come on, how much can suspend our disbelief? Also, there aren’t enough scenes showing Robert together with his wife and kids before the deadly virus, so it’s difficult for anyone to be emotionally involved during scenes that try to tug at your heart. At least the action scenes with the mutants aren’t unintentionally funny like whenever those Marilyn Manson-like vampires in 30 Days of Night. 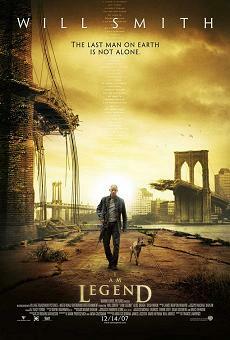 At a running time of only 101 minutes, I am Legend ultimately feels like an underwhelming and forgettable piece of mindless entertainment. Number of times I checked my watch: 2. Entertainment Value: Moderate. Spiritual Value: None, as long as you suspend your disbelief. Released by Warner Bros. Pictures. Sherri (Spenser Redford) and Holly (Heather Hogan) try to seduce their high school English teacher while Tony (Hayes MacArthur), a department store manager, harasses and screws his female employees while an married attorney (Paul Schackman) has a gay affair with another attorney (Chris Williams). The list goes on with dramatic scenes with other characters, such as clerks who have an encounter with killers on the loose. All of these small stories are from the perspective of hidden cameras, which gives the audience an uncomfortably voyeuristic yet always riveting sensation. It takes a while to get used to—at least it’s the screen isn’t split up into four quarters of different perspectives like in Timecode. Writer/director Adam Rifkin inventively connects all of the vignettes and characters in the least predictable ways. Some of the “footage” feels shocking and disturbing, but never contrived. What’s truly creepy, though, is if you think about how realistic the camera locations are—there have been sighting of cameras inside dressing rooms and, yes, there’s even one at ATM machines, shopping malls, near sidewalks and on traffic lights. What should be done about invasion of privacy? Look never really tackles that, so, for now you’ll have to wait until a documentary explores that very provocative, timely issue. Number of times I checked my watch: 0. Entertainment Value: High. Spiritual Value: Moderately High. Released by Vitagraph Films. Opens at the Angelika Film Center. Directed by Maureen and James Tusty. In Estonian and Russian with subtitles. 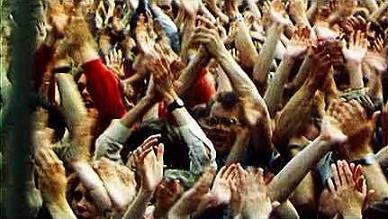 This surprisingly uplifting documentary focuses on how thousands of Estonians gathered to sing in the Laulupidu Song Festival, a non-violent resistance against Soviet and Nazi occupations. Their efforts to promote their culture through song in 1869 and 1969 until this very day have helped Estonia to become a democracy. It was always an upward battle against the brutality of occupied forces. In very moving scenes, Estonian survivors recall how Soviets and Nazis captured, tortured and killed their family members. Directors Maureen and James Tusty wisely include plenty of footage from Estonia’s history to inform the audience of its constant struggle. Even after the Nazis nearly destroyed the entire country (roughly the size of Vermont and New Hampshire put together), Estonians found the courage and hope within themselves to overcome their hardships by simply singing songs of freedom and national pride. It’s a joy to watch and listen to the kids of today sing the very same songs that mean so much to a country that has fought through culture to gain its independence and freedom from oppression. Number of times I checked my watch: 0. Entertainment Value: High. Spiritual Value: Very High. Released by Mountain View Productions. Opens at the Village East Theater. This mildly fascinating documentary is about Danny Williams, an editor/filmmaker who was Andy Warhol’s lover back in the 1960’s and mysterious disappeared in 1966 without a trace of evidence that would suggest suicide or foul play. Director Esther Robinson interviews family members as well as friends who discuss their memories of Danny up until his disappearance. It’s somewhat suspenseful yet futile to try to make sense of his experiences without interviewing him to understand what went on in his mind. Nobody seems to have been truly close to him on an emotional level and, sadly, Andy Warhol mistreated him and made fun of him. In a shocking part of the film, a family member claims that Andy refused to talk to them at all. Is he hiding something or not? It’s difficult to answer that with no hard evidence. It would have been more interesting, though, if Esther Robinson had explored the mystery of Danny’s disappearance even more so that it’s not just up to the audience to make their own conclusions. Instead of giving more of an account of Danny’s private and professional life, she could have interviewed private investigators who have experience in disappearances and could shed some well-needed light. Number of times I checked my watch: 3. Entertainment Value: Moderate. Spiritual Value: Moderate. Released by Arthouse Films and Red Envelope Entertainment. Opens at Cinema Village. 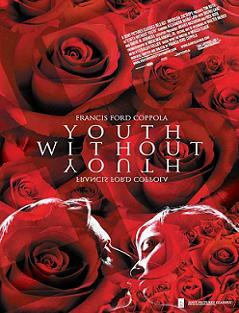 Based on the novella by Mircea Eliade. In 1938 Romania, a 70-year-old professor, Dominic (Tim Roth), gets struck by lightning which turns him into his 35-year-old self, but all of his memories have been retained. Soon enough, a doctor (the underrated Bruno Ganz) and others perform tests on him as if he were the “elephant man”—much more handsome, though. It turns out that Hitler is interested to study his special condition as well, so he tries to escape before being captured. Twenty years later, he meets Veronica (Alexandra Maria Lara), a woman who also got struck by lightning and who believes she’s a princess from ancient India. The two gradually fall in love despite their strange circumstance. Writer/director Francis Ford Coppola includes very intricate details with lots of emphasis on color, light and strange angles, but the convoluted and confusing plot causes more headaches than any real surprises. It’s somewhat interesting, though, to ponder the symbolic meaning of some details such as the lightning and three roses which appear in the film. Dominic has a split image of himself who shows up occasionally in more mind-boggling scenes. The general atmosphere feels like a David Lynch movie, which could have been much more fun if plot didn’t take itself so seriously. Number of times I checked my watch: 6. Entertainment Value: Moderate Moderate. Spiritual Value: Low. Released by Sony Pictures Classics. Opens at The Paris Theatre and Landmark Sunshine Cinema.